Federal spokesman of the Greens (1988-1990). Executive member, Salzburg Municipal Council (1982-1987), responsible for town planning, building, transport and the environment and restoration of the old town. 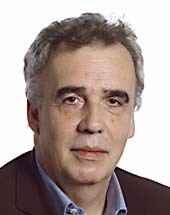 Member of the Austrian Parliament (1990-1996). Numerous publications on European integration, town planning and democratic theory. Member of the European Parliament (since 1995).